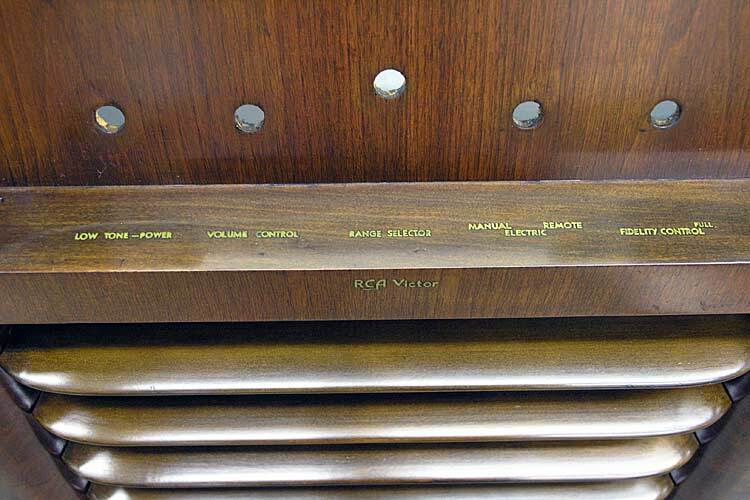 This RCA Victor radio 816K is from 1937. The owner was a hobbyist who asked if I could restore the cabinet while he repaired the tubes and electronics. 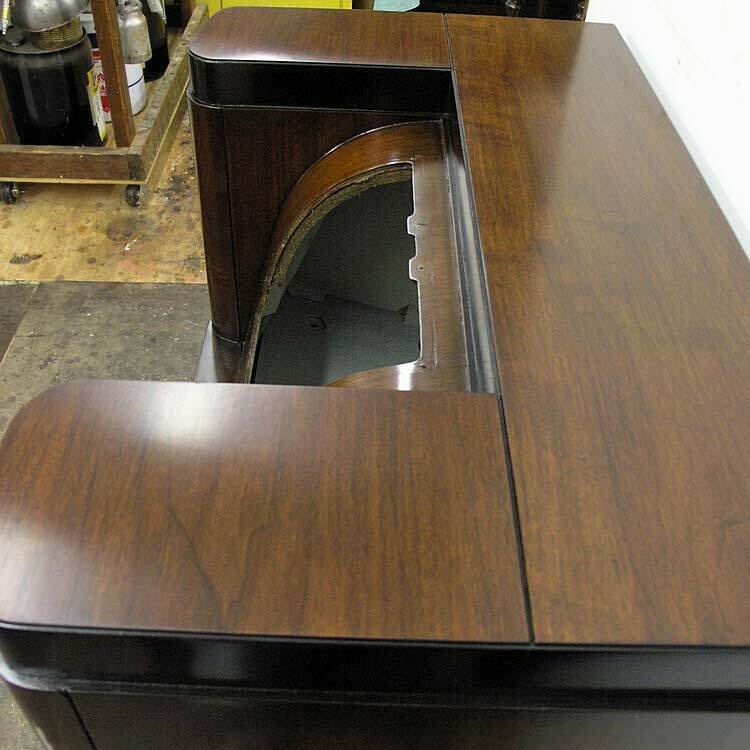 The base of the radio cabinet had peeling and missing veneer. 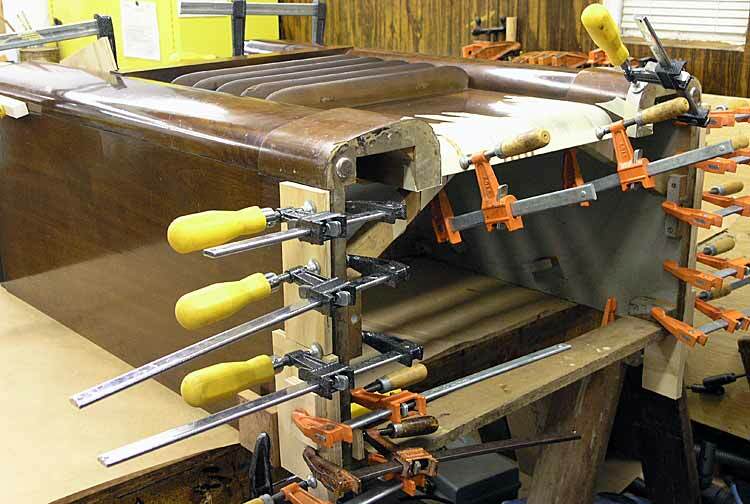 The 1st step to repair the veneer was to glue and clamp everything that was loose. It was difficult to place clamps on the rounded bottom, so masking tape was used to hold the veneer down until the glue was dry. The next step was to fit and glue new pieces of veneer wherever missing. 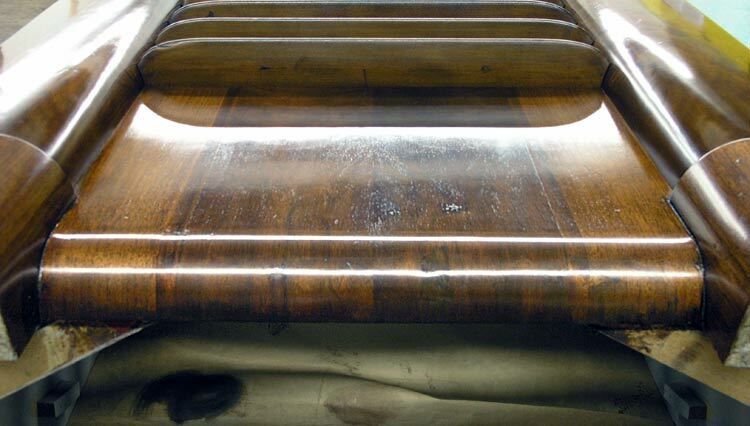 The repaired area was then touched up and blended in as the existing finish was reconditioned. This involved cleaning, a light scuff, color work, and a few coats of finish to seal everything. 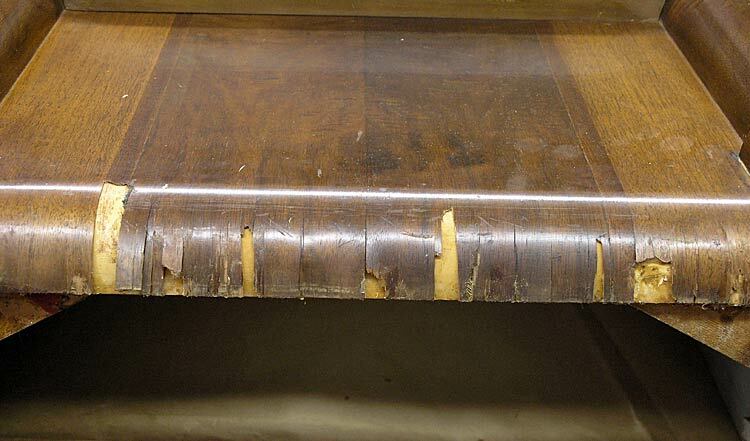 The top of the cabinet had a dark stain outlining a drinking glass. Trying to hide the stain with touch up would not have looked good, so it was decided to refinish the top. This is the top with the stain removed. The original gilt decals for the control knobs looked worn, and the owner thought they’d need to be replaced. But a good cleaning revealed they were still intact and only needed some touch up. Below is the restored cabinet, ready for the electronics and speaker to be re-installed. 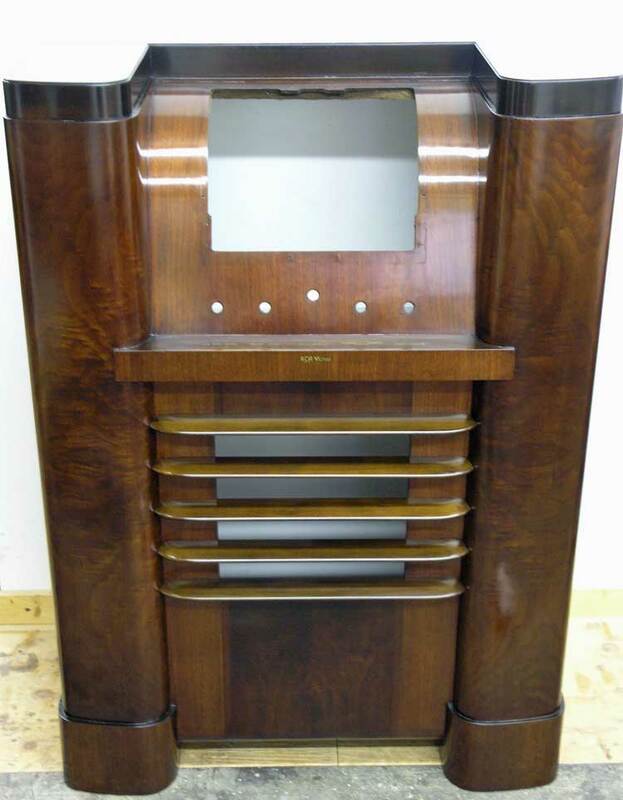 This radio cabinet was restored for a Kingston NY client.